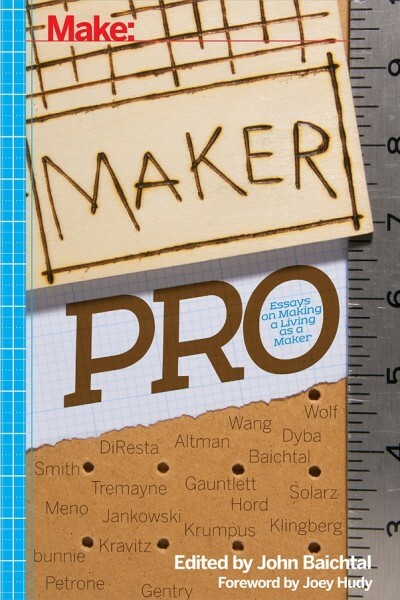 Last year John Baichtal approached me about writing an essay for his book Maker Pro, it was a great project to be a part of, so many talented people contributed and its humbling to be a part of it. You can buying it on Amazon today. 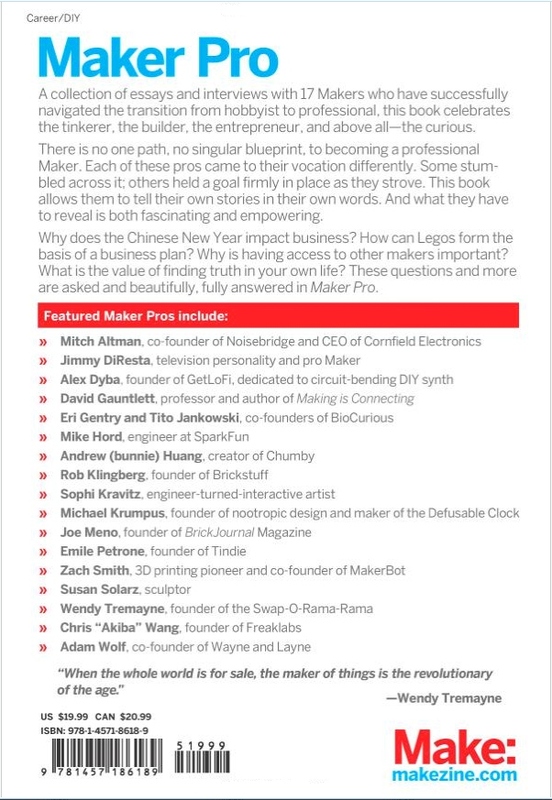 Now I’m not a book reader, but after reading this I wished there was more, great inside look at what many Makers are doing for living, certainly exciting for anyone who shares the entrepreneurial aspirations. Previous PostHappy New Year 2015!Next PostSynthino XM Synthesizer a GetLoFi and nootropic design collaboration project now official!